For over thirty years, Purcell Construction, Inc. has offered the following design/build services in Lakeland and the surrounding Polk County area, in Florida. Please take a moment to review our services, and feel free to contact us if you have any questions whatsoever. 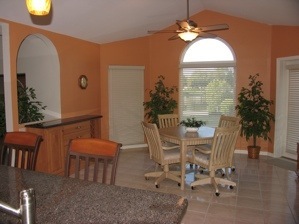 Room Additions – Sun Rooms, master bedrooms/bathrooms, kitchens, porches, and garages, etc. Remodeling – Kitchens, bathrooms, screen porch conversions, decks & railings, etc. Commercial Buildings – Additions & remodeling – Churches, office buildings, apartment buildings, etc. New Home Construction – Custom design/build services. Custom Carpentry – Decks & railings, stairs, home entertainment centers, wood cabinets, etc. Driveway replacements – Remove old concrete, tree roots, etc. and replace with new wire and concrete.